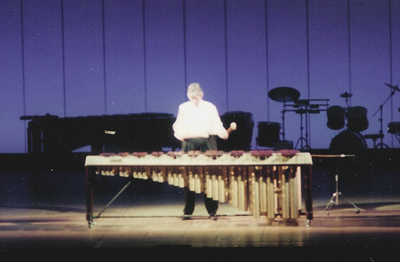 Acclaimed by audiences in South America, Spain, Japan and the United States, Rebecca Kite skillfully manipulates two and four and six mallets as she creates the music and rich tones unique to the concert marimba. This beautiful sounding instrument is made of bars of rosewood, known to Guatemalan and Mexican folk marimbists as the "wood that sings," suspended over resonators. Rebecca Kite's performances draw upon the rich heritage of folk music from around the world and from classical music repertoire. She performs contemporary works by Japanese and American composers, as well as her own transcriptions of music originally composed for classical guitar, lute, and cello. Kite's artistry and music may be heard on her two recordings, Across Time and Prism. 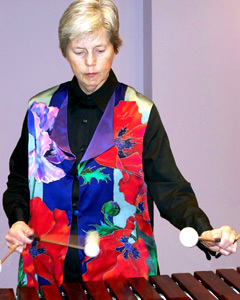 Kite draws on her international experience and repertoire in programming marimba music that will connect with your audience. "Opening with a passage for six mallets, it never lets up, requiring techniques for two, four and six mallets; a variety of different mallets for contrasts of sound; and rapid, lightning fast passage work up and down the instrument - Kite performing from memory, provided energy and excitement with an incredible performance!"